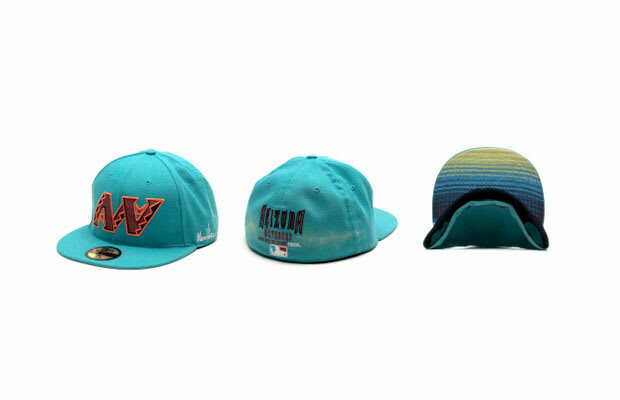 "Arizona Wetbacks, a Racist Republicans x Arizona Collaboration"
Custom Logo Designs, Embroidery, Mexican Blanket Pattern and Acrylic on a Bootleg New Era Cap, 2010. "I created this hat to show the connection between the racist republicans that run the "Arizona Diamondbacks" (a major league baseball team) and how they are helping to push the Arizona SB1070 law by generous funding. I re-named the team "Arizona Wetbacks," because I believe it’s a better fit given the racist actions the owners are taking with the SB1070 bill. I created three hats for the three players on the Diamondbacks of latin decent (Juan Guitterez, Gerardo Parra, and Rodrigo Lopez), who are celebrated on the field then asked for their papers when they leave it. This bill is a step backwards in terms of progression. It is also a giant slap in the face to the many people that fought for equal rights in the past as well as the present. The SB1070 law has the feeling of the beginning stages of apartheid. This bill should be stopped. Arizona is down with the brown, fo-real."